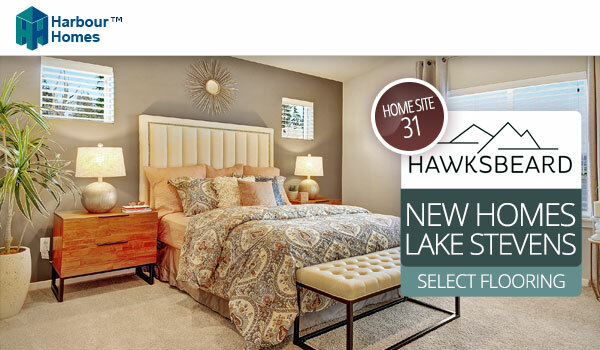 Stay up to date with news from Harbour Homes. Follow us on Facebook, Twitter or Google+ and subscribe to our emails. Hawksbeard is 75% sold out! 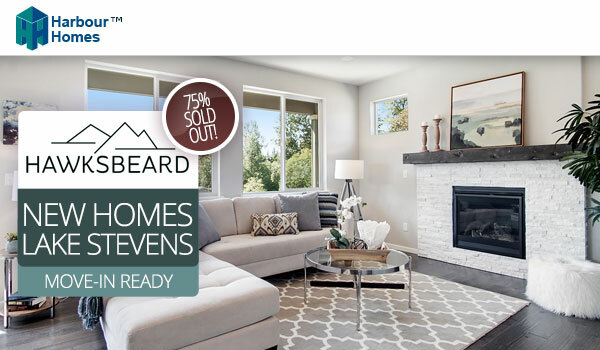 Hawksbeard in Lake Stevens is 75% sold out. One move-in ready home of three remains available -- the 2273 plan on home site 36 with over $25,000 in upgrades included. Click below for full details or come by and tour this home today. Hawksbeard is open daily 11am to 5pm. 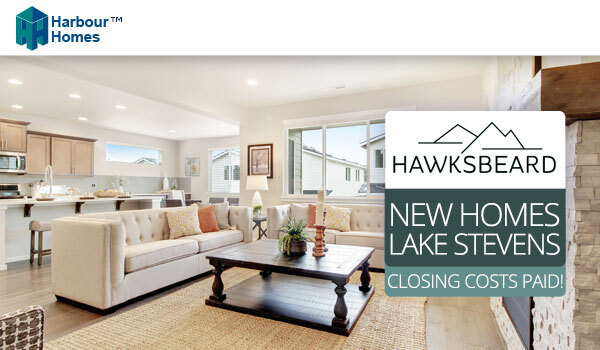 Get closing costs paid on home sites 29, 32, 33 and 34 at Hawksbeard in Lake Stevens! Simply close on your new home by Dec 27th and use a listed lender. Join us October 28th from 2 - 4pm for treats, games, fun and prizes. Put on your costume and come meet Jet the miniature horse at our harvest party at Hawksbeard October 28th, 2 - 4pm. There will be treats for everyone, crafts and games for the kids and prizes for the best costumes! Have your photo taken with Jet in his costume and enjoy refreshments. The gorgeous 2273 plan model home on home site 40 at Rock Creek Estates features 5 bedrooms including a main floor guest room and 3/4 bath. With over $70,000 in included upgrades, designer paint schemes, and outdoor landscaping, this home is a steal at just $484,950. See it today! 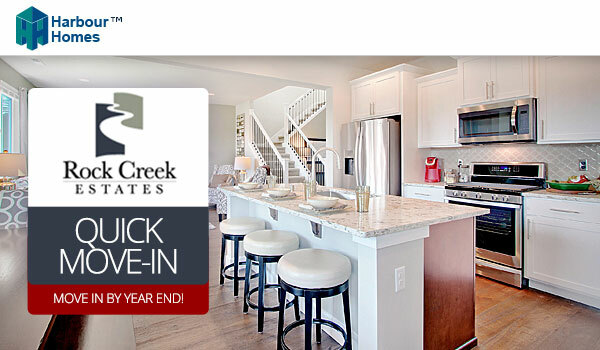 Act now to take advantage of specials on move-in ready homes at Rock Creek Estates. Home site 16 and 22 now include full appliance packages, blinds throughout, a garage door opener and fencing. All the things you have to purchase AFTER you buy a home are already included in homes of the week at Hawksbeard in Lake Stevens! 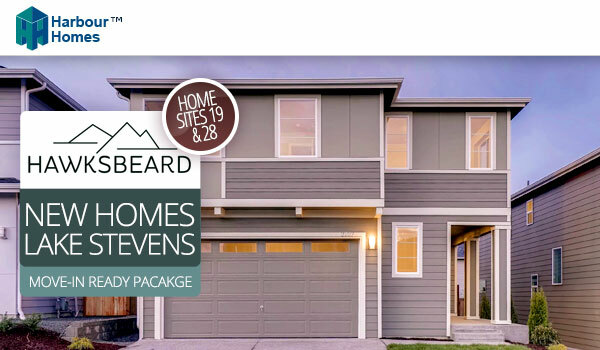 Don't miss our first available quick move-in homes at Hawksbeard in Lake Stevens that include a full appliance packages, blinds and garage door openers. Only two available! These won't last long, so don't wait! 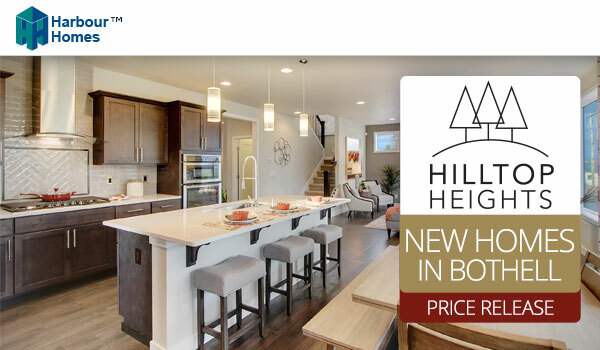 Unparalleled beauty and ideal location distinguish The Pines at the Highlands' 14 luxury homes in the Renton Highlands — just 1 mile away from I-405 and the shops and restaurants at The Landing.. The home sites accommodate floor plans ranging from 2,605-3,077 square feet with a high level of included features. We look forward to welcoming you home! 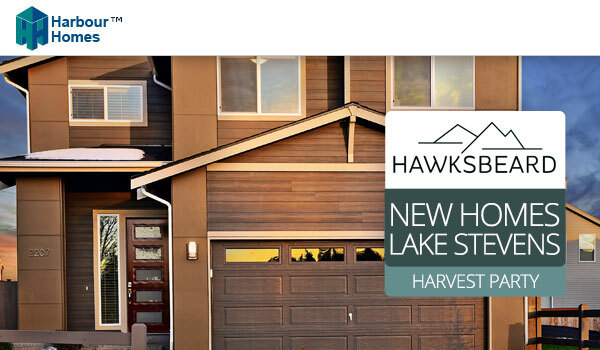 Purchase the 2273 plan on home site 31 at Hawksbeard in Lakes Stevens and choose your favorite hard surface selections to make it uniquely yours. Want more hardwood? Want that special tile backsplash? Then this home is perfect for you! You must hurry as there is a limited time to make hard surface selections, so don't wait! 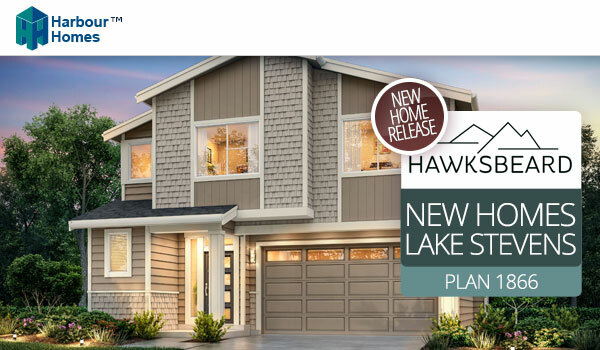 Don't miss our first available quick move-in homes at Hawksbeard in Lake Stevens that include a full appliance package, blinds, and a garage door opener. Only three available! These won't last long, so don't wait! 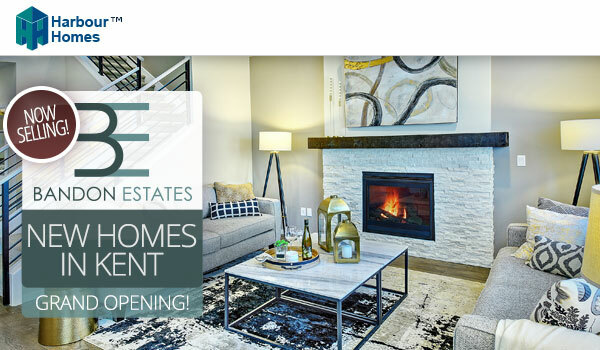 Join us for the grand opening of Bandon Estates II June 23rd and 24th. Tour our fully furnished model home and enjoy snacks and drinks from 11am to 5pm! 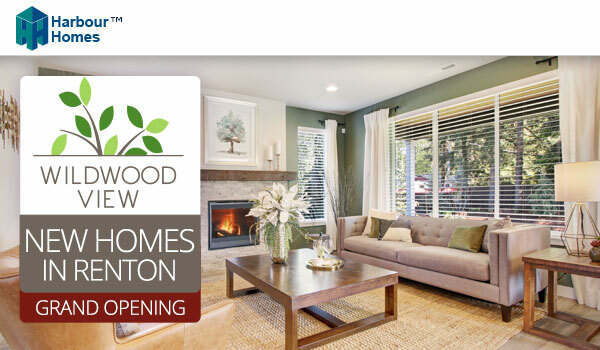 Join us for food, festivities and a giveaway* at the grand opening of Wildwood View in Renton this Saturday and Sunday. Tour the fully furnished 2350 plan model home and check out the special grand opening pricing on home sites 19 and 20! 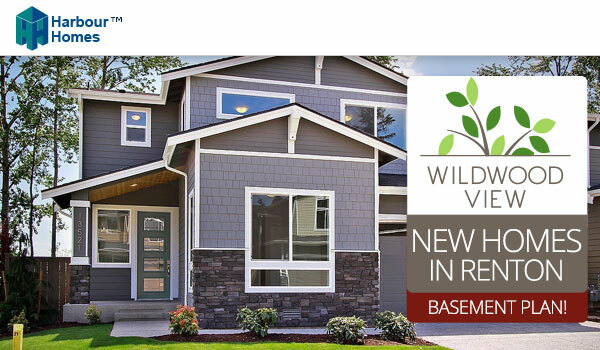 Wildwood View opening this weekend in Renton! 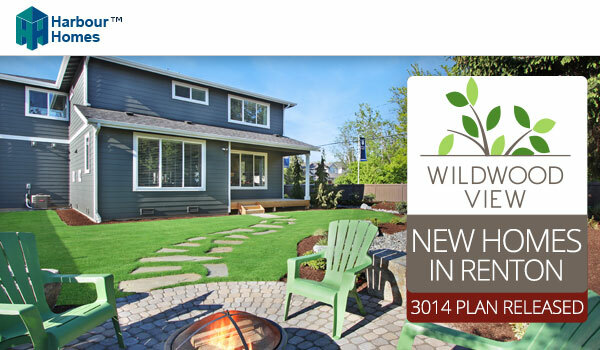 You're invited to be among the first to view the fully furnished 2350 plan model home at Wildwood View in Renton. Harbour Homes, LLC is seeking a Staff Accountant to specifically focus on our land acquisition and development (A&D) processes. Established in 1983, we are a privately held, lean and growing company. Our employees are an active bunch; we run, ride bikes, hike, play sports and enjoy a casual, but entrepreneurial work environment, competitive compensation and benefits and free parking. We believe in the synergies that happen when everyone is working together; so you won’t find any telecommuters or people working from home in our office. We are located in Seattle in the heart of the Fremont neighborhood. Home site 42 is a move-in ready 2101 plan and includes a free refrigerator, washer, dryer and blinds. 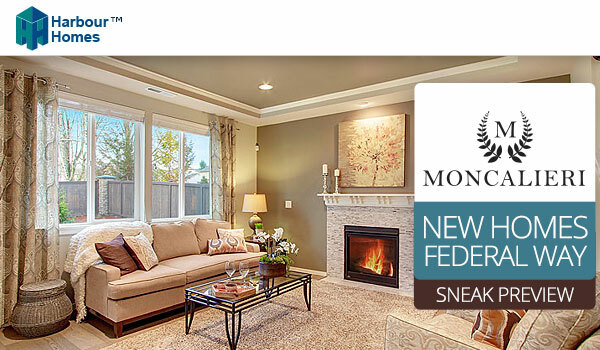 A rare, move-in ready home is available at Moncalieri on home site 1 in Federal way. Over $34,000 in upgrades are included with a fridge, washer, dryer, and blinds! 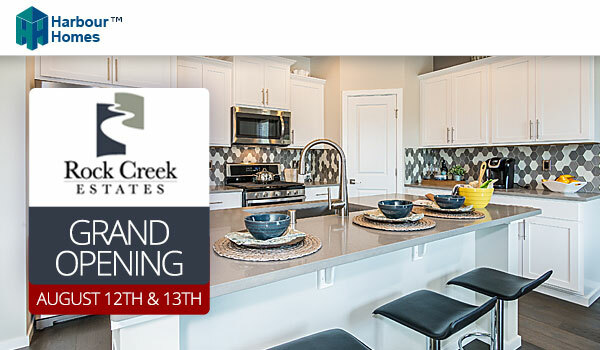 Join us this weekend for the grand opening of Rock Creek Estates Phase IV August 12th and 13th! Come and learn about the latest home releases and enjoy free toys, burgers and ice cream from noon-3pm. Plus, enter to win a Cabela’s gift card* on both Saturday and Sunday. See you there! 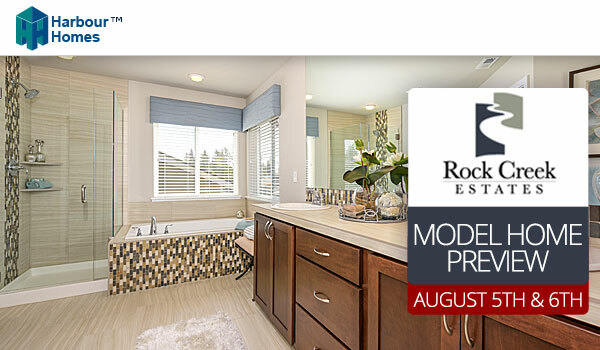 Join us August 5th & 6th for the phase IV model home preview at Rock Creek Estates featuring 53 new homes! 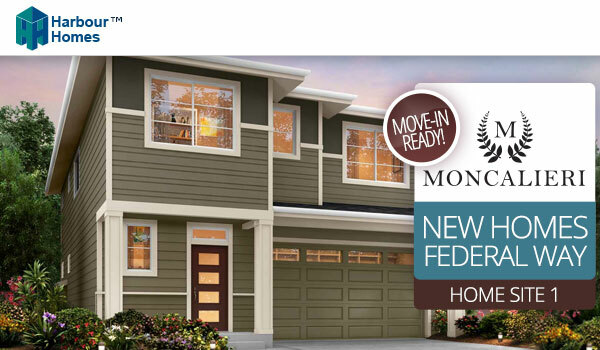 Come see the gorgeous new model, new interiors, new floor plans and learn more about phase IV. Woodland Trails grand opening July 15th & 16th! 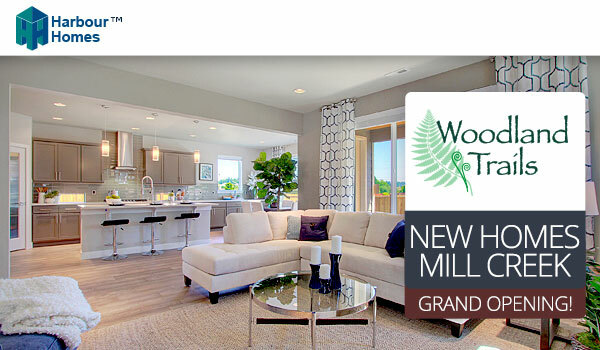 Join us this weekend for the grand opening of Woodland Trails and tour the 2350 plan furnished model home! A BBQ lunch, provided by Wells Fargo, will be catered by Carolina Smoke from 12 - 2pm. Don’t miss the opportunity to enter to win a rolling Seahawks cooler with a $50 Central Market gift card to fill it, on both Saturday and Sunday. 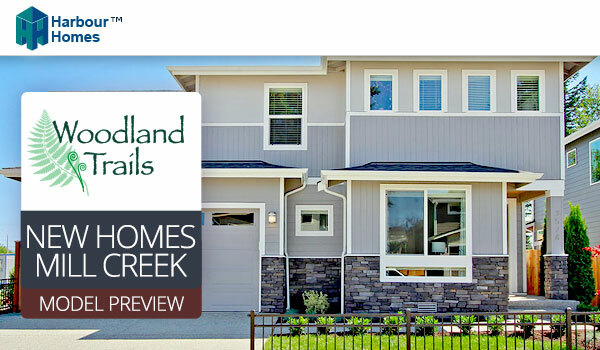 Woodland Trails model home preview July 8th & 9th! 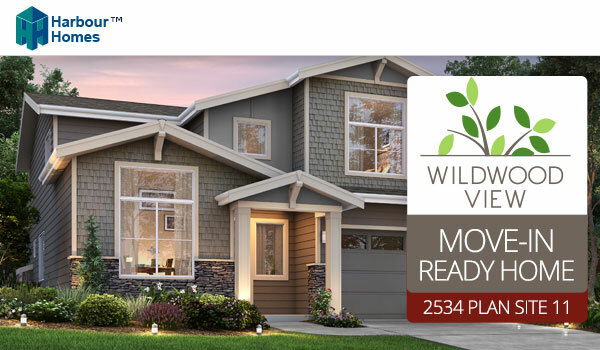 Join us as we unveil the furnished 2350 model home at Woodland Trails. Snacks and Refreshments will be provided by HomeStreet Bank from 12-4pm. Moncalieri grand opening this weekend! 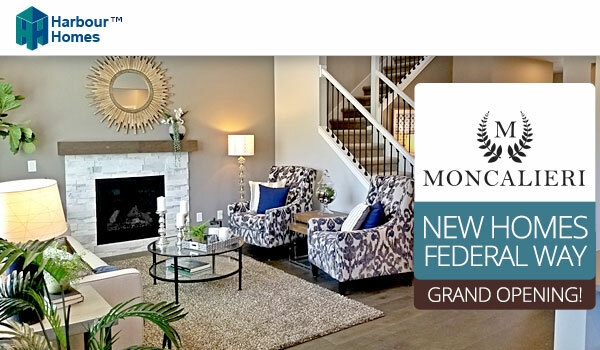 Join us July 8th & 9th from 11am to 5pm for the grand opening of Moncalieri in Federal Way! Come out and enjoy food, drinks, and a tour of the furnished model home, as well as the other homes already under construction. 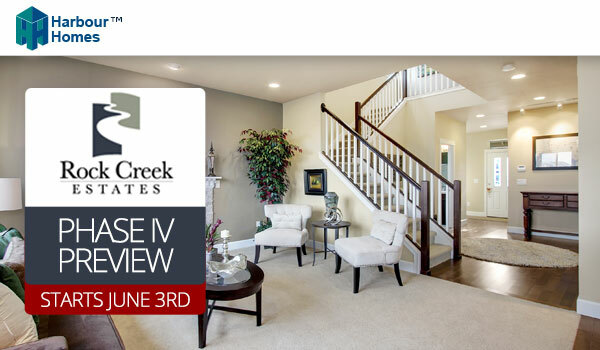 Join us this Saturday, June 24th from noon - 3pm, for our Phase IV Hard Hat Tour at Rock Creek Estates in Marysville! Be the first to tour our new floor plans and learn more about our Phase IV community, which will feature 53 new homes. Meet us at the Phase III model. For safety, please leave children and pets at home. See you there! 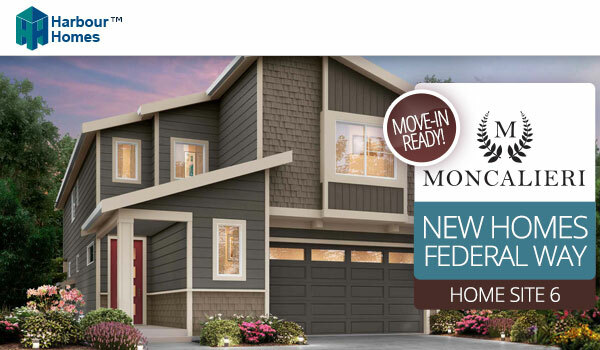 Join us at the Moncalieri model home this weekend, June 24th and 25th from 11am to 5pm, for a sneak preview of the newest Harbour Homes community in Federal Way. 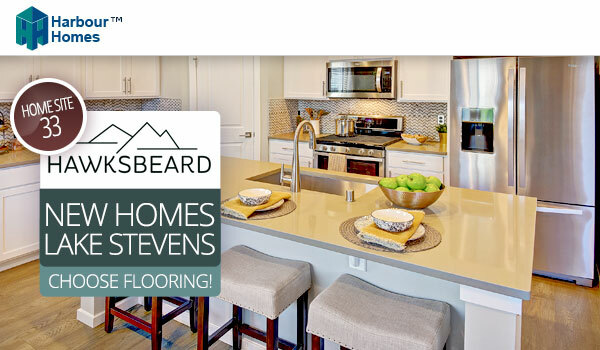 Come tour the model home, check out our brand new floor plans, and find out what great features are included in these homes starting in the low $400s. 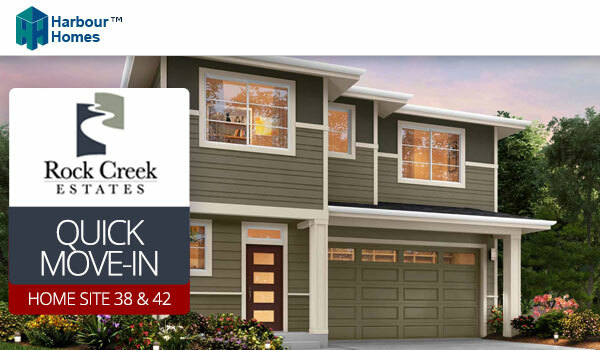 The phase III model home has just been released for sale at Rock Creek Estates in Marysville! 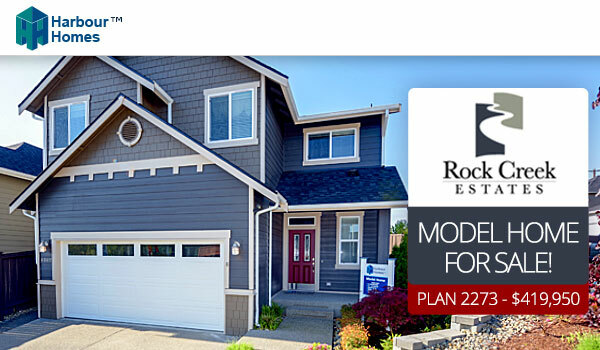 The popular 2273 plan with almost $80,000 in included upgrades is now available for $419,950. Call today before this home is sold! Rock Creek Estates is open Sat-Sun 11am-5pm. 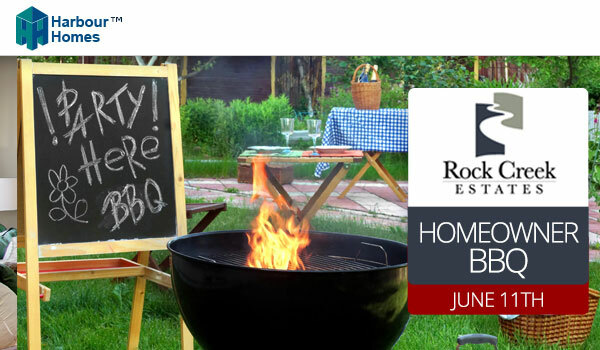 Join us Sunday, June 11th, from noon-3pm for a Homeowner Appreciation Barbecue at the Rock Creek Estates model in Marysville. Enjoy burgers, free toys and fun. You'll have the opportunity to learn about upcoming price releases for Rock Creek Estates Phase IV. You'll also have a chance to enter to win a Cabelas/Bass Pro Shop Gift Card. See you there! 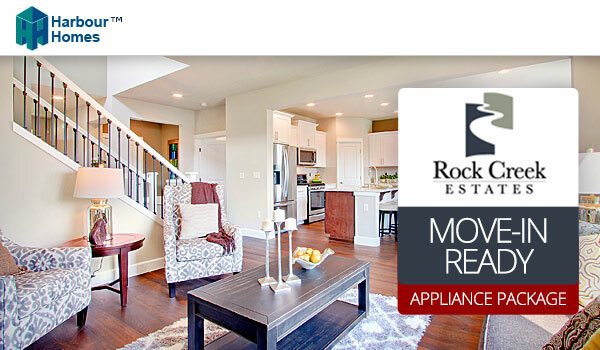 The model home at Rock Creek Estates in Marysville will reopen Saturday and Sundays beginning June 3rd. 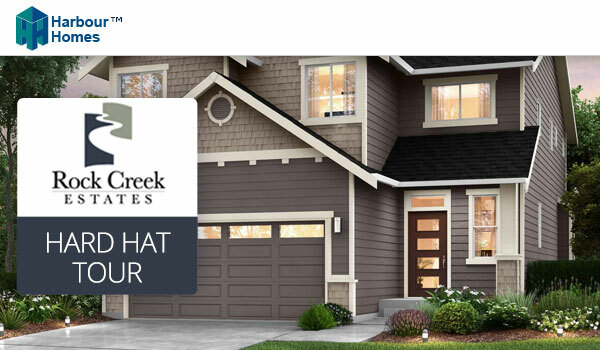 Visit us this weekend to learn more about Rock Creek Estates Phase IV, which features 53 new homes. Join the interest list today to stay tuned about model grand opening this summer! Join the interest list today so you don’t miss the early April price release! 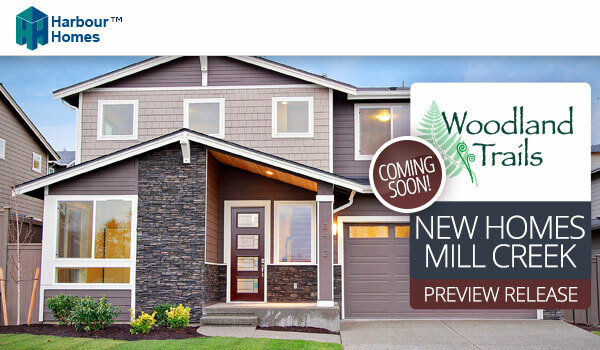 Woodland Trails in Mill Creek, located off of 35th Ave SE & 149th Place SE, features a community park and 28 new homes priced from the low $600s. 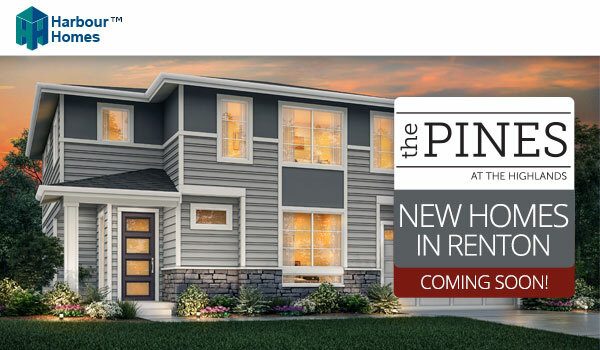 Stay tuned for the model home grand opening this summer! 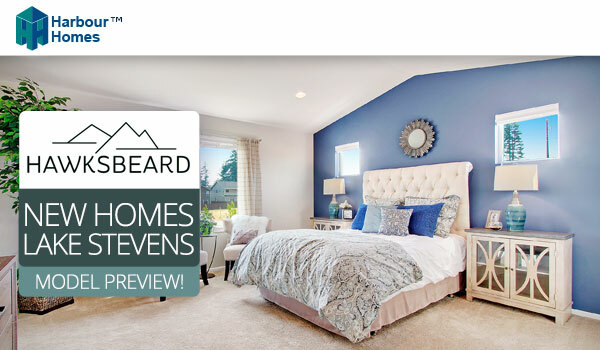 Don't miss your chance to own the beautifully designed and furnished model home at our Ridgecrest Park community in south Everett. The model is a 2472 plan listed at $549,950 and includes over $68,000 in upgrades at this price. Contact Heather today to schedule a tour! 2016 award for best merchandising of a model home! 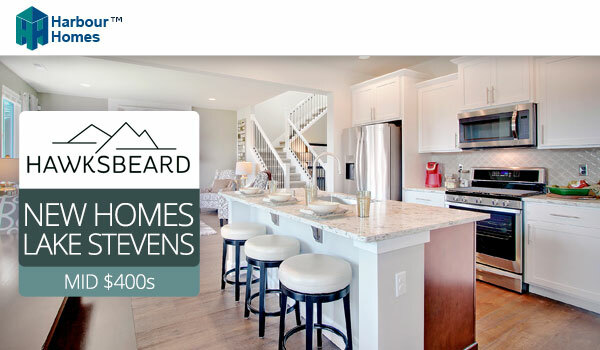 Harbour Homes has received the 2016 Tribute Award from the New Home Council for best interior merchandising of a model home at Meritage Ridge in Kirkland. But, don't take our word for it. Come out and tour the model home for yourself today. 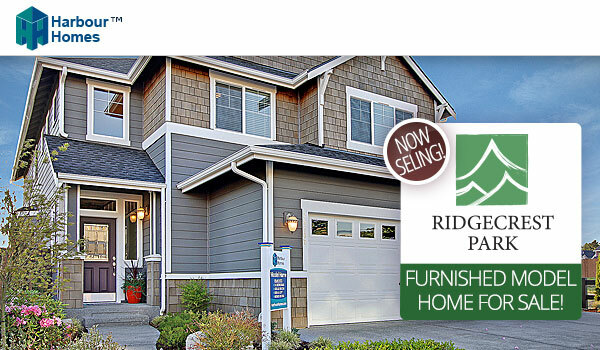 Meritage Ridge is open daily 11am to 5pm. 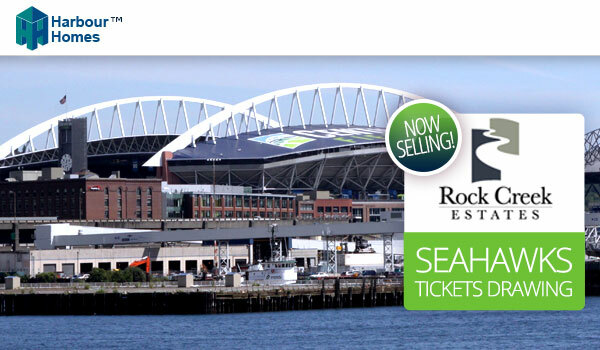 Harbour Homes is giving away 2 Seahawks tickets for the December 15th game against the Rams at Century Link Field. 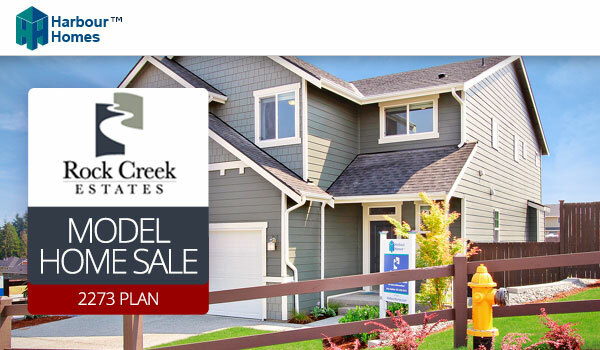 Simply enter the drawing at Rock Creek Estates in Marysville by visiting the model home during the month of November and fill out a registration card. Limit of one card per visit, however, there is no limit on repeated visits and entries. No purchase is necessary and real estate brokers are welcome to enter drawing as well! 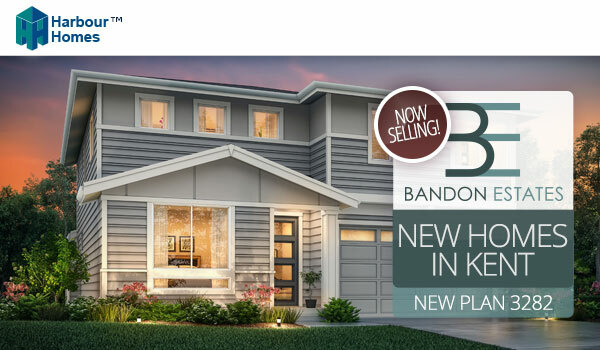 Bandon Estates grand opening July 30th & 31st! 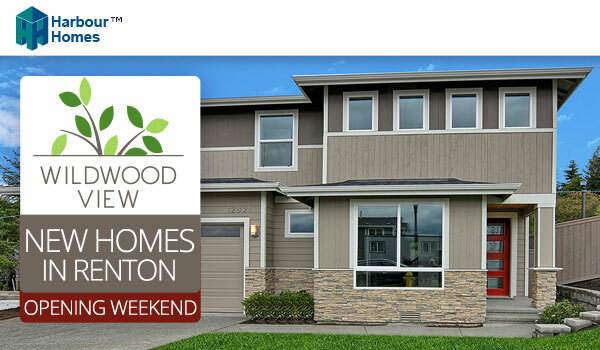 Join us July 30 - 31 from 11am to 5pm, for the grand opening of Bandon Estates in Kent. Come out and enjoy food, drinks and a tour of the new model and several homes already under construction. New homes released for sale! Join us July 22-24 from 11am to 5pm at Meritage Ridge in Kirkland for the unveiling of 5 brand new designs you are going to love. These contemporary floor plans range from 2,217 to 3,137 square feet and offer a bedroom and bath on the main floor. 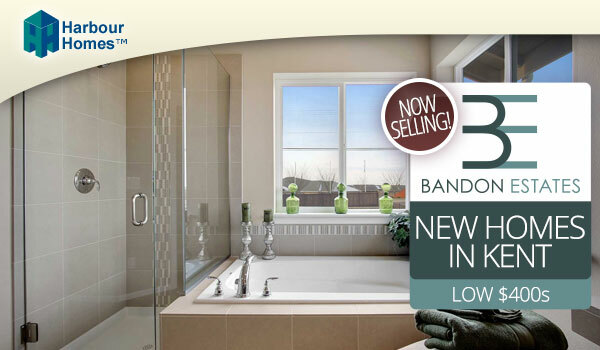 We have loaded these homes with innovative design features unsurpassed at this price range. Join us this weekend, July 16 - 17 from 11am to 5pm, for a sneak preview of our newest Harbour Homes community in Kent, Bandon Estates. Come tour the new model home and find out what great features we're including in these homes starting in the low $400s. 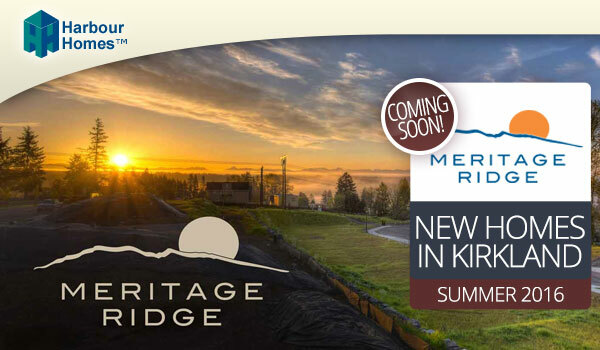 Meritage Ridge in Kirkland coming this summer! 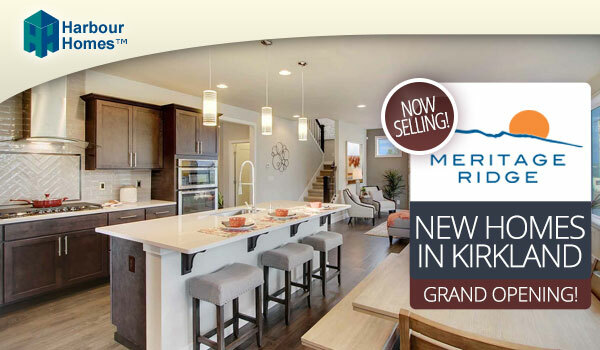 Harbour Homes is excited to unveil a new line of exclusive floor plans at Meritage Ridge in Kirkland this summer. Request information to join the interest list today and be first to receive model opening updates and pricing. 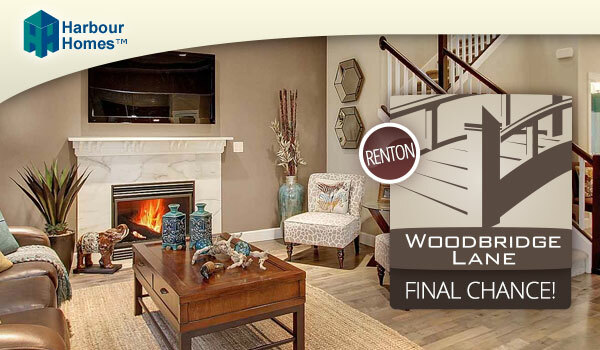 Last opportunity at Woodbridge Lane in Renton! 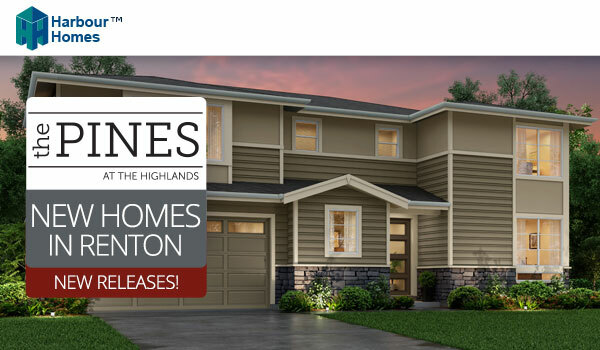 Woodbridge Lane in the Benson Hill area in Renton is selling quickly and there are just five new homes remaining. This may be your final opportunity to live in this desirable Renton neighborhood just south of Seattle. You owe it to yourself to come see the brand new 2600 plan model home and learn why Woodbridge Lane is perfect for you. 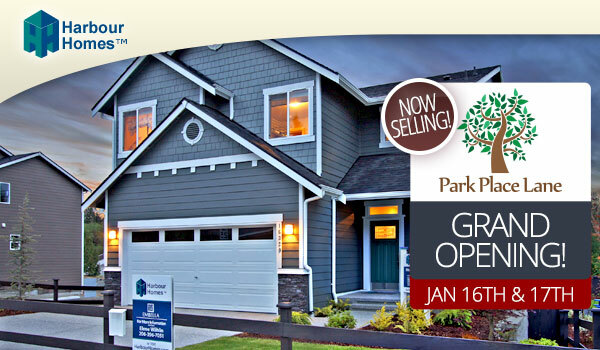 Grand opening of Park Place Lane Jan 16-17th! 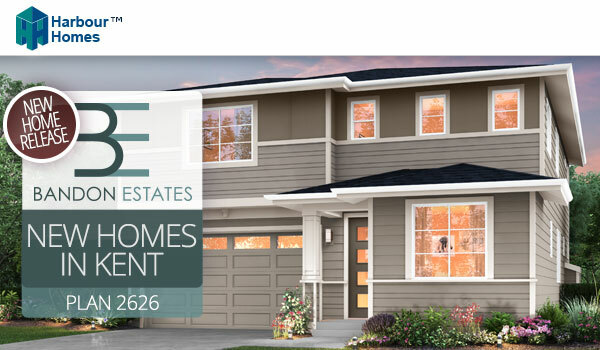 Don't miss the grand opening of Park Place Lane in Kent with new homes priced from the high $300s. Tour the fully furnished model home and enjoy barbecued sandwiches, fruit, veggies, cookies and drinks between 11am and 5pm both Saturday, January 16th and Sunday, January 17th.